In our 8-week online course, you’ll learn how to evaluate baseball players, run a front office, and direct a baseball operation. Former LA Dodgers General Manager Dan Evans and former LA Dodgers Amateur Scout, Hank Jones will teach you the skills baseball organizations need. The time is now to pursue your dream of working in baseball. The Sports Management Worldwide General Manager/Scouting course has given me the opportunity to examine the latest trends in baseball management and player evaluations, along with an introduction to Sabermetrics and how the two disciplines can work together in the difficult task of finding a prospect to compete in Major League Baseball. There was a time when understanding baseball meant sitting in the stands watching game after game with some old grizzled veteran teaching you the nuances of the sport. Then, there was a time where calculators and spreadsheets took over, managing the game through a myriad of numbers and formulas. Now is the time where analytics and traditional scouting work together. The Sports Management Worldwide Baseball General Manager and Scouting Course marries the new age of baseball analytics with traditional baseball scouting to give you the tools necessary to become the next great baseball executive. Taught by MLB scout Hank Jones and former Los Angeles Dodgers GM and Toronto Blue Jays scout Dan Evans, our 8-week online course offers cutting edge theories on how to develop a career in professional and collegiate baseball. Unlike most online classes, we focus our program on audio chats directly with your course mentor, which allows you the opportunity to build personal relationships and rapport withHank Jones and Dan Evans. After completing our Baseball Analytics course, we will help you redesign your resume to highlight your new skills and include that you have been taught first-hand by Dan Evans and Hank Jones. With program graduates currently working for teams like the A’s, Yankees, Mariners, Red Sox, Braves, Giants and many more, this is your best chance to turn your passion for baseball into a career you love. Students enrolled in the Baseball General Manager and Scouting course will learn what baseball general managers do, year round, to improve their clubs. The interactive course, led by major league executives and a who's who list of guest speakers, covers all the bases - from sabermetrics to digital video analysis to contracts and negotiation. Dan Evans has been in professional baseball for over three decades, holding key decision making roles with five MLB franchises, including three years as the Los Angeles Dodgers Executive Vice President and General Manager. Evans' career began as an intern with the Chicago White Sox, where he worked his way up from the bottom and eventually became their Assistant General Manager/Director of Baseball Operations. Evans brings a unique perspective to the Baseball General Manager and Scouting course, as he is the only former General Manager of an MLB club who also led a baseball agency. He also has worked as a broadcast analyst for MLB games, authors a column for Baseball Prospectus and is an original member of the Professional Baseball Scouts Foundation. In addition to teaching the Baseball General Manager and Scouting course, Evans also evaluated talent for the Toronto Blue Jays, overseeing their entire Pacific Rim operations. For nearly 40 years Hank Jones worked the Pacific Northwest region as a trusted scout for the Los Angeles Dodgers, helping the organization win two World Series (1981, 1988) and succeeding under four different ownership groups, seven general managers and five scouting directors. Often when there is an organizational regime change, the scouting staff is turned over to new members. But not Hank. His reputation in MLB is beyond reproach, and every new GM and scouting director wanted Jones to stay on their staff. A slick-fielding middle infielder, Jones was drafted in the 15th round of the MLB Draft to the San Francisco Giants in 1972. He played three seasons in the Giants minor league system before joining the Dodgers organization in 1976 Rule 5 Draft. For the rest of his career in baseball, he represented Dodger blue. As a scout, Jones was assigned to the Washington, Oregon, Idaho, Montana, Wyoming, Alaska, Hawaii, and Western Canada areas. He was a fixture during the draft, often the only amateur scout allowed in the room due to his highly sought-after judgment and reputation. His expertise is baseball scouting, player evaluation and understanding organizational decision making is beyond compare. Sign up for SMWW’s Baseball GM and Management online course and you can learn from this pillar of the game. Baseball Hall of Famer and three-time World Series General Manager. Gillick was the GM of the Toronto Blue Jays (1978–1994), Baltimore Orioles (1996–1998), Seattle Mariners (2000–2003), and Phillies (2006–2008). He guided the Blue Jays to World Series championships in 1992 and 1993, and later with the Phillies in 2008. Pat was inducted into the Baseball Hall of Fame in 2011. President of Baseball Operations and General Manager of the Texas Rangers. When Daniels was hired in 2005 he was the youngest GM in baseball history. FoxSports.com senior baseball editor, Rob began his career with legendary baseball author Bill James, and later worked for STATS, Inc., ESPN.com and SBNation. Rob has written or co-written six baseball books. Former Major League Scout named the "King of Baseball" by Baseball America during the 2002 Winter Meetings. 55 years in baseball. Former Manager of the San Diego Padres, with a 200-194 career record. Held Major League positions in scouting, coaching, player development over his 40 years in baseball. Special Assistant to General Manager Los Angeles Dodgers. Major League Scout for the Texas Rangers and Milwaukee Brewers. Amateur Scout for the Chicago Cubs. 26+ years of professional baseball experience. Pacific Rim Scout for the San Francisco Giants and New York Yankees. Assistant General Manager of the Chicago Cubs. Former Scouting Director for the Cincinnati Reds. 40+ years in professional baseball. Author on several books on Amateur Scouts and Major League Scouts. Special Assistant and Major League Scout for the Texas Rangers. Tom has been an Area Scout for the Old Kansas City Athletics, Scouting Director for the Baltimore Orioles, and Special Assistant with the Cleveland Indians. Giordano has over 50 years of service to Major League Baseball. Major League Scout for the Philadelphia Phillies. Sonny has been a member of the Major League Scouting Bureau, Pittsburgh Pirates, Atlanta Braves and the Boston Red Sox. Bowers has over 30 years of scouting experience. Special Assistant GM to the Texas Rangers GM Jon Daniels. Welke has 40 years of experience in professional baseball. President of the Business of Sports Network. Well-known baseball analyst and baseball columnist, for Baseball Prospectus, & Forbes. The SMWW Baseball GM & Scouting Course, was helpful opening doors in professional baseball markets for me with both the Texas Rangers and the St. Louis Cardinals. Since completion of the course, I have held positions as Senior Director of Baseball Operations and Assistant General Manager for the Texas Rangers in California League (3 1/2 seasons). I have worked for the St. Louis Cardinals for 11 years in Central and Southern California. I am currently the head of baseball operations and a head coach in the Cardinals Scout Ball program in the MLB Scout League in Southern California. Upon successful graduation from the Baseball GM & Scouting Course, you will be invited to join SMWWScout.com, our network of professional scouts working across all sports and in all countries. The site will include your own webpage with your picture and biography, and samples of your best scouting reports. As a graduate of the Baseball GM and Scouting course you are eligible to apply for acceptance as a SMWW scout and be featured on this website free! Your chances of accepting an offer from a professional baseball team will improve by taking this course and being a part of the SMWW community. We will assist you with your career goals by developing a customized baseball portfolio, and by leveraging our extensive network of professional baseball teams worldwide. Our goal is to see you working with a professional baseball team! We have graduates working for almost every team in Major League Baseball… and we want you to be next! At SMWW, we’ll teach you the skills you need to thrive AND help you redesign your resume for optimal impact in the sports industry. We’ll help you craft a resume to highlight your new skills in Baseball Management & Scouting, including a reference from Dan Evans and Hank Jones and optimize it to reach hiring managers searching online. An emerging trend in baseball analysis and scouting is the use of software and hardware devices to enhance scouting processes and efficiency. Using this technology, scouts and coaches can assess players more efficiently, collecting and sharing data seamlessly across an organization in real-time. Teams like the Cardinals, Yankees and White Sox are leaders in this adoption of scouting technology. As part of this course, you will be exposed to the cutting edge techniques being used by more and more teams worldwide, including pitch-by-pitch data analysis, player speed charting and real-time video analysis tools. Weekly Audio Chats: A unique aspect of each 8 week course is the opportunity for students to participate weekly in interactive audio chats with fellow students, Hank Jones, Dan Evans, and Dr. Lynn Lashbrook and renowned guest speakers. This is a tremendous opportunity to network within the professional and collegiate baseball industry and get to know your instructor, guest speakers, and fellow students personally via the internet. This is available via any online computer with a microphone. At the conclusion of the course, students will have a well-rounded understanding of the methods used by baseball scouts and general managers that have put winning teams on the field. The Baseball GM and Scouting course was truly a great experience. It provided me with the specific training and knowledge to be able to break into the baseball industry. Dan Evans and Larry D' Amato are great mentors. All the material I learned will help me immensely moving forward in my career. The SMWW Baseball GM & Scouting Course gave me a strong foundation and was helpful opening doors for me in professional baseball. In 2017, I successfully completed a Baseball Operations/Player Development Fellowship with the St. Louis Cardinals. Recently, I just accepted a full time opportunity for the 2018 season, this time with the Minnesota Twins as their Communications Assistant/Spanish Translator for the Major League Club. I’m very thankful to Dan Evans and Larry D’Amato for sharing their baseball knowledge, which helped me land these tremendous opportunities in professional baseball. The Baseball GM and Scouting course was a tremendous opportunity to learn more about the current state of baseball and how to best position myself for a career in baseball. I am very thankful to Dan Evans and Larry D'Amato for sharing their immense baseball knowledge and years of experience. I thought getting access to people who are directly involved with baseball management was great. Listening to their first hand experience gives you confidence that if you follow their suggestions and examples, it will help you further your career in baseball's management system. Both Larry D'Amato and Dan Evans provided keen insight that is just not accessible in any other forum. SMWW's Baseball GM & Scouting course taught me a lot of the little things that go into scouting and working in the baseball operations side of the front office, which would of been very difficult to learn outside of this class. Larry D'Amato and Dan Evans are great teachers and provided everything they know to me in just 8 weeks. They truly care about the future of everyone in the class. I want to thank both of them and Lynn Lashbrook, as all this material I leaned will help me immensely moving forward in my career. SMWW gave me a strong foundation with which to work upon. In an industry where information on breaking in isn't readily available, the coursework and lengthy discussions with trusted individuals that have been in between the lines so to speak was incredibly fruitful and the perfect kick-start for my working career. I'm writing to you and the rest of your team to thank you! I took the Baseball GM & Scouting Course two years ago and I learned so many skills that have helped me in my career. In December 2018, on my second season has Toros de Herrera G.M. in the Panamanian professional Baseball League my team won the Championship. In January, we got the opportunity to play at the Latin American Baseball Series in Mexico where we finished third and during this series we got a call from the Commissioner of the Caribbean asking if Panama could host a Caribbean Series and get Toros to play in the tournament. Not only did we help them organize the series and were great hosts, but a team that I put together in four days with 15 Toros Players, and 6 Panamanians from other teams and seven players from the Nicaragua and Colombian league won the Series in what is one of the most incredible histories in modern Baseball. We competed against the best teams in the winter leagues and finished with a 4W - 1L record with historic victories against Puerto Rico, Dominican Republic, and Cuba. Thanks for your help and hope the programs keep going strong. I'd just like to toss a big thank you out to Dr. Lashbrook for his vision in developing such a great company which has enabled so many of us to break into the sports industry. My advice to ANYONE who is on the fence about taking an SMWW course is this: take the plunge! You won't regret it. I am proof that it's not too good to be true. The sports professionals at SMWW gave me the specific knowledge and training to enter this field and to market myself. The Baseball General Manager and Scouting Course was an eye opening experience. You really get an insider's perspective on how a career in baseball is achieved. This course is one of the most challenging I have ever taken but also one of the most rewarding. Taking SMWW's Baseball GM & Scouting course was one of the best decisions I have made. I learned so many valuable skills which will give me an edge in my career. I have since been named an Associate Scout with the Cleveland Indians. 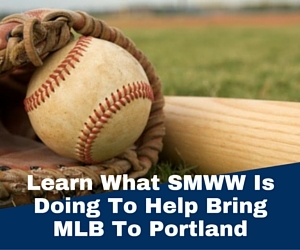 SMWW is definitely a course I recommend to anyone looking to break into the baseball world. If you have a passion for baseball and would love to know more about the business side, this is a class for you. Before I took this class I thought I knew a lot about baseball, but after 8 weeks I found out that a lot of what I thought was right was actually wrong, and gained the knowledge it takes to work in baseball. The course has been great! The chats are a lot of fun as well as educational. I can’t tell you excited I am to be able to take accredited courses in the areas of my true passion (baseball). I will also be taking the sports agent course after I’ve completed my current course, and plan to work with SMWW as an athlete advisor. You guys at SMWW are very, very responsive to my needs as an SMWW student, and very patient as well. Thanks again. At the end of the program, I was prepared for success in every facet: from working in a front office to interviewing for positions. I was offered two jobs and flew to meet each team and was extremely prepared for the interview process and salary negotiation strategy. I wanted a job in baseball and ended up turning down a job offer from an MLB team to accept a Corporate Marketing Manager position with the Frisco RoughRiders in Frisco, Texas. My dream is complete! I was always taught that if it seems to good to be true then it most likely is so I was skeptical when I first heard about an online course that could help you get a job in baseball. With that was my first impression I looked into it and decided to enroll. Not only was all of the course material relevant and interesting, it was presented in a logical structure highlighted by the weekly Neyer chat -- a unique and educational experience in itself. Besides giving you a solid foundation to pursue a baseball job they also have connections and will go out of their way to use them in order to help you get hired. I didn't even need to finish the course before they helped me land my current internship -- at Baseball Prospectus. The Baseball General Manager and Scouting course lived up to everything I expected and more. It is challenging, but well worth the challenge to increase your knowledge of the game on the scenes and behind it. Great course! I loved the Baseball GM and Scouting Course. As an attorney I found the depth of the analysis impressive, and the interaction with the other students invigorating. If you are interested in front office dynamics, this is the course for you. As I near retirement I am attempting to make a smooth transition into baseball - either in management or scouting of some sort. The SMWW course on "Baseball GM and Scouting" was my first step toward converting stumbling blocks into stepping stones as I make a career transition. The Baseball General Manager and Scouting Course by Sport Management WorldWide offered material and content that is unparralled in any classroom around the country. The well-rounded format that tied together text books, papers, and online chats with industry professionals was just as educating as it was enjoyable. It has assisted my continuing journey to become a sports management executive. The two greatest thrills I experienced during this course was to interview an employee from the Kansas City Royals front office. Being a lifelong Royals fan, it was fun talking Royals baseball with a Royals representative. Also, I will get the chance to observe a long time scout in the Major Leagues during the upcoming local baseball season. One of the main things that I got out of this course is that I am more confident in landing a job in professional baseball. The Baseball Scouting and GM course at SMWW was very well put together. Regardless of the participant's familiarity with scouting, statistics, or front office work, there is something for everyone. The course does a great job of getting relatively new people up to speed while simultaneously offering opportunities for more experienced students to learn new things as well. The Baseball GM & Scouting Course was the most fun I have had in any class ever. I learned so much about baseball, scouting and then some. If I could take it again, I would! President, Mileur Media Group, Inc.
What I learned from the SMWW Baseball General Manager / Scouting course will contribute significantly to improving my ability to scout and report on baseball prospects and to provide my readers with a more in-depth insight into the game and what goes on behind the scenes in a baseball organization. Well worth my time and the expense to invest in this course. My favorite part was getting to know a whole group of new people. Tom and Bret were great and were always there to help, and I feel like they will be there if I need them in the future. I am taking both this course and Baseball GM & Scouting Course. SMWW played a very influential role in earning my position with the Pittsburgh Pirates Baseball Operations department. The mentorship of both Mr. Evans and Mr. D'Amato helped me establish relationships with many individuals in the baseball industry that helped me get where I'm at today. The baseball industry is a tough industry to get your foot in the door, but SMWW and their mentors give you a leg up on the competition.